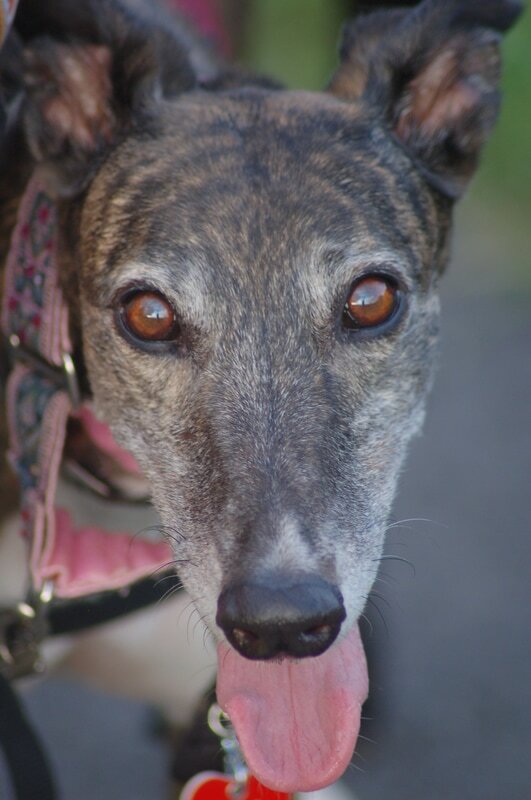 Zoo, aka Zooindo, is a retired, successful, racing greyhound. She has 124 races under her belt. 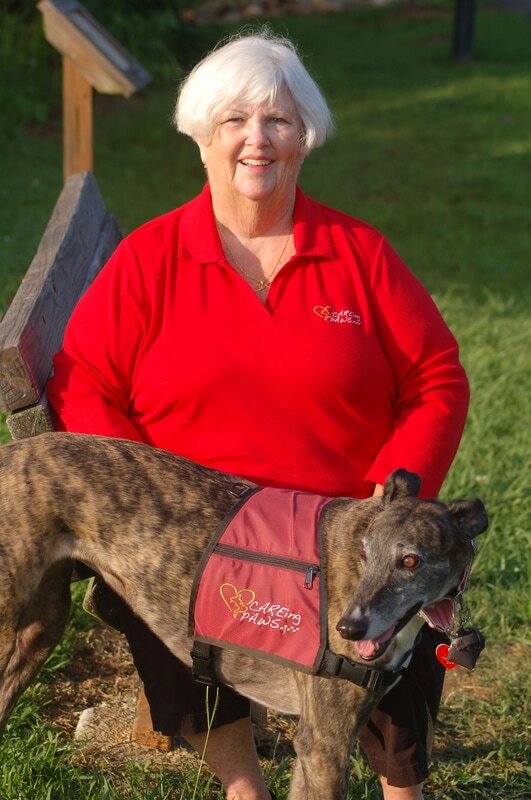 She raced in Jacksonville, FL for 2 years before heading to a farm to become a brood Mom. Unfortunately, she had some medical issues that prevented her from having pups, so she came to our local adoption group and my husband and I adopted her. 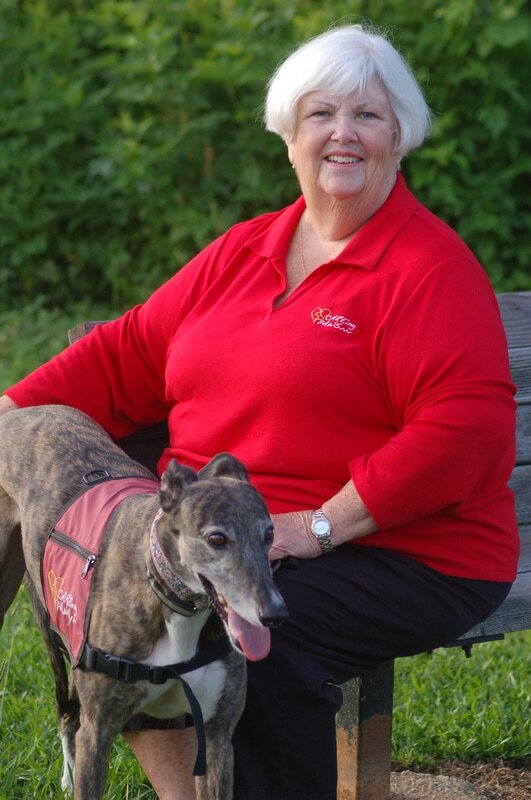 She was such a loving, sweet dog that I decided she would make an excellent therapy dog. She has not disappointed in that regard, she is wonderful! Zoo is 8 years old. She loves her toys, marshmallows and especially bananas. She is also quite a “kisser”, so I have to warn people that if they get close, they will be on the receiving end of her sloppy kisses! ​She loves all people and her tail wags constantly while we are visiting anywhere.